These lovely wooden picks are an essential tool for breaking up the leaf from a compressed Pu-erh tuo cha or beeng cha. 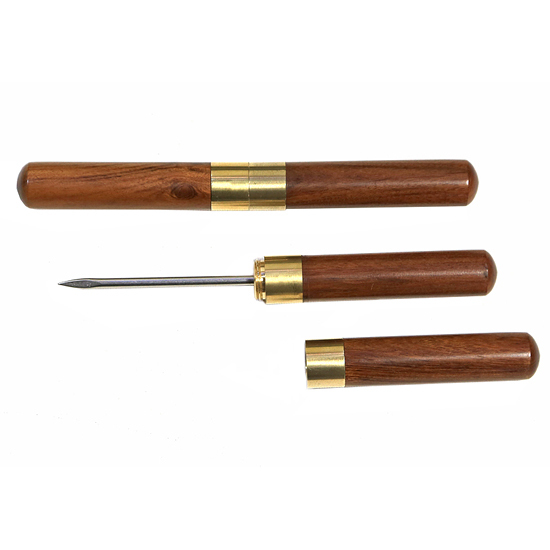 The picks are very nicely made and will be an elegant and stylish addition to the necessary tools on your tea table. The medium brown wood is smooth and highly-polished. The brass fitting operates smoothly – the two pieces of the pick fit together quite nicely for safe, compact transport in a pocket or tea satchel. The metal pick itself is strong – it has a good heft in the hand and gives a confident feeling in service. Any compressed form of Pu-erh will respond well to this pick. No matter if your tuo or beeng cha has been given light compression (cakes pressed under stone forms/weights) or medium to tight compression (cakes pressed by machine hydraulics) this pick will be up for the task. Use the point of this pick to carefully poke and pry apart the leaf with the precision of a surgeon! 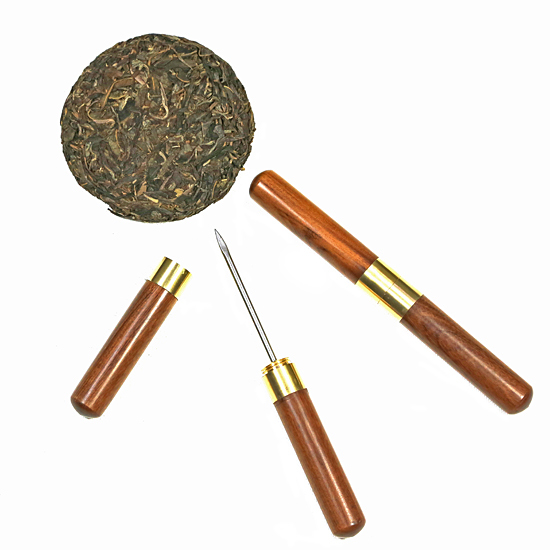 This is a terrific price for these picks – we have seen them for sale on other tea websites at $16.00 – $30.00 each !